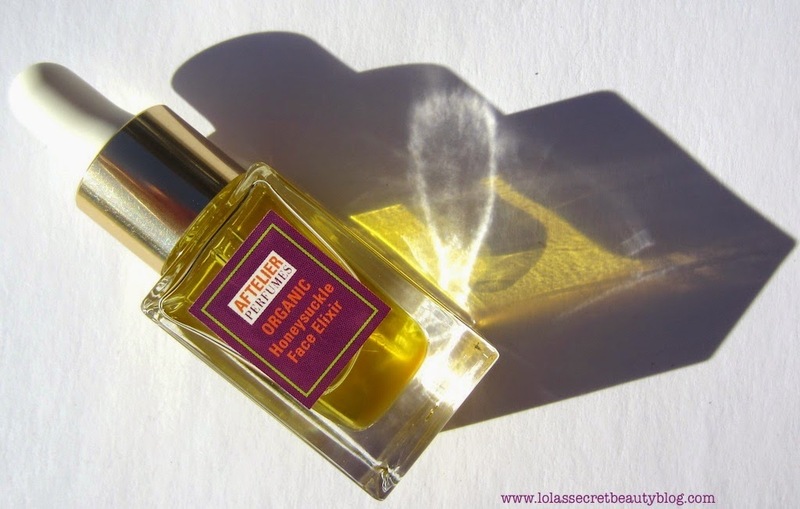 That Mandy Aftel has raised the bar in the realm of exceptional beauty oils should come as no surprise. Her new creation, Aftelier Honeysuckle Face Elixir, is less a beauty oil, and more a work of art of exceptional rarity. Indeed, this is perhaps the singular beauty oil against which all other beauty oils will be judged in perpetuity. 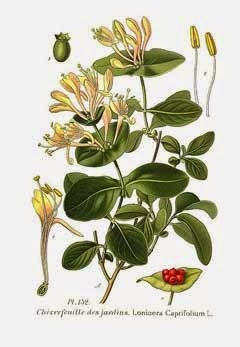 Aftel describes the Honeysuckle Face Elixir as one that, "features rare honeysuckle absolute from Italy, extracted from the creamy white and yellow trumpet flowers. This sweet heavenly aroma is intoxicating, honeyed, and reminiscent of ripe fruit." Mandy's beauty oils have soul. They are almost like little beings unto themselves, and to try to capture their dynamic complexity is no small feat. While photographing them, one is struck by the delicate play of light that dances through the oil and creates a celestial haloed effect. Somehow the chiaroscuro effect created by the juxtaposition of the golden light to the deep shadows seems to capture some of the inherent beauty of this sublime masterpiece. This fresh and floral organic nourishing treatment for the face is immediately moisturizing, softening, and conditioning. Features rare honeysuckle absolute from Italy, extracted from the creamy white and yellow trumpet flowers. This sweet heavenly aroma is intoxicating, honeyed, and reminiscent of ripe fruit. Drifting off to sleep inhaling this gorgeous aroma makes you feel as if all is right in the world. All of these oils are healing and promote cell regeneration. This fresh and floral nourishing treatment for the face is immediately moisturizing, softening, and conditioning. Add some drops of the elixir to your fingertips and gently pat into your clean face before bed. This lightweight non-greasy formula absorbs quickly into your skin. You will drift off to sleep, in a light veil of fragrance that soothes and relaxes. When you wake up, your skin will feel wonderfully nourished and revitalized. 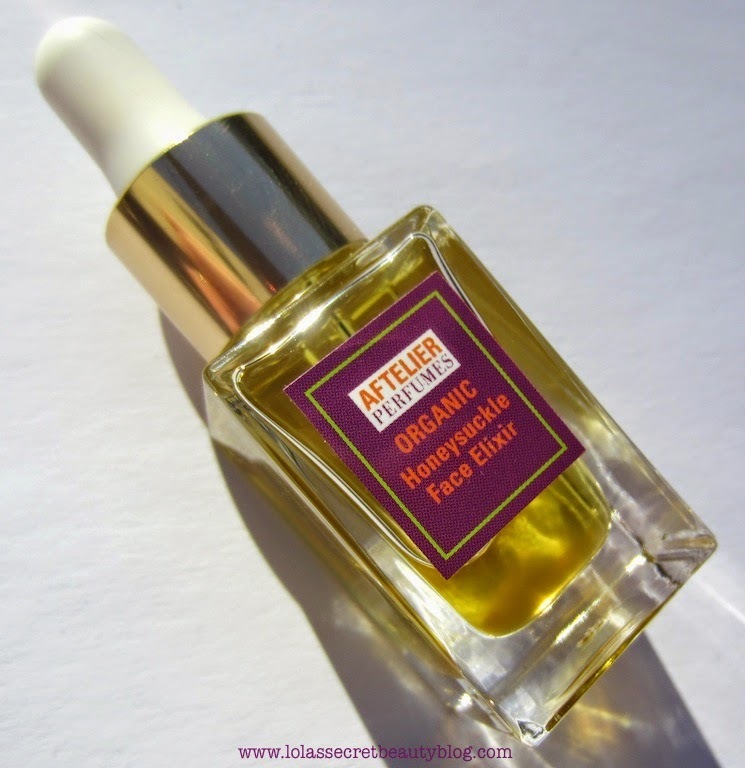 I have been using Aftelier Organic Honeysuckle Face Elixir both day and night since the day that it arrived, and not only because I was going to review it, but largely because it is so extraordinary that I simply cannot control my impulse to use it. If it were a perfume I would wear it, if it were a house I would live in it– it is, simply put, so extraordinary that I crave it. Of course it does all of the magical things that only Mandy's Face Elixirs are capable of, but this rare Italian Honeysuckle beckons me like nothing before. It is intoxicatingly beautiful, and neither too sweet, nor too predictably floral. It occupies some liminal space between waking life and dreamscapes: it is tantamount to the discovery of mythological creature, but one that actually exists. I knew it was going to be spectacular, but it’s miraculous! 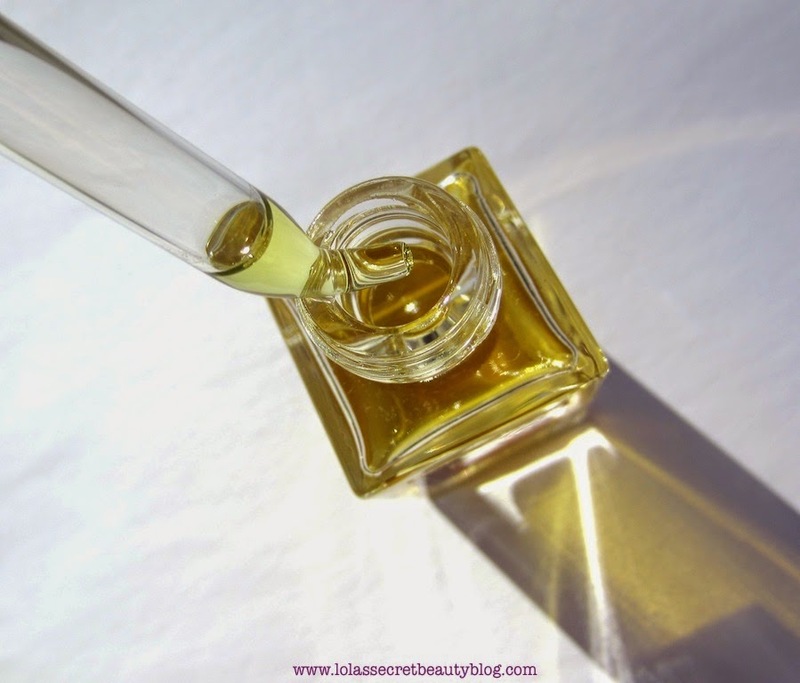 If you love luxury face oils-- then you must try this golden gem! It should be noted that Mandy carefully scrutinizes the quality of each of the ingredients used and will only use those of the highest quality available. This luxurious Face Elixir is very concentrated– therefore only a few drops are required to massage into the face, neck and décolleté. I apply it to slightly damp freshly cleansed skin, and this non-greasy golden elixir sinks in quickly leaving behind the glorious veil of its sumptuous aroma. Skin is left glistening and revitalized. In the oversaturated face oil market, and one rife with dilettante creators of so-called luxury oils, there are but a few that truly stand out. Mandy Aftel categorically makes among the very finest beauty oils that the market has ever seen. It is a combination of her rarefied knowledge, scholarly research, cultivated skill set, creative genius and extraordinary artistry that sets her creations apart from the other beauty oils on the market. Mandy Aftel, an award-winning all-natural perfumer and author, creates each of her extraordinary fragrances and Elixirs by hand in small batches in her Berkeley, California studio. 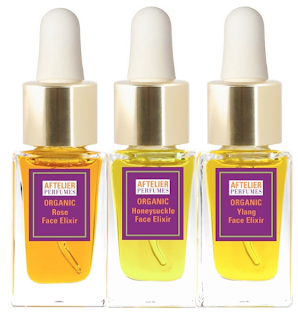 Aftelier Perfumes also offers Organic Rose Face Elixir (reviewed here) and Organic Ylang Face Elixir (reviewed here). 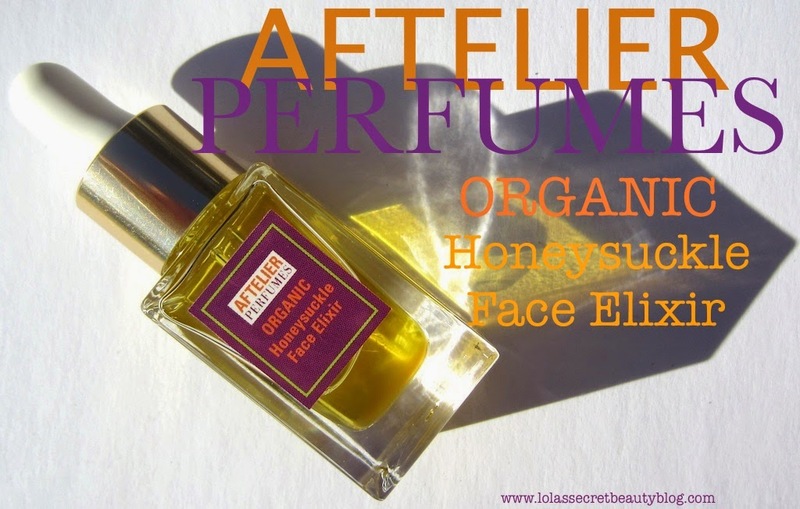 Overall Assessment: Aftelier Perfumes Honeysuckle Face Elixir is a breathtaking achievement, and I assure you that you have never tried anything even remotely similar to this sublime rare jewel. This soulful elixir nourishes the skin while it feeds the soul and spirit, and for this reason it is well worth experiencing for yourself. What a beautiful review for an exquisite product! I have noticed your posts about Mandy Aftel & her Aftelier brand. I am a fragrance oil lover because they last so much longer on my skin, so I have to visit her website and check out her fragrances. This particular product sounds heavenly. I can imagine honeysuckle vines and their scent from your description! Thank you so much, Allison! That means a lot to me coming from you! 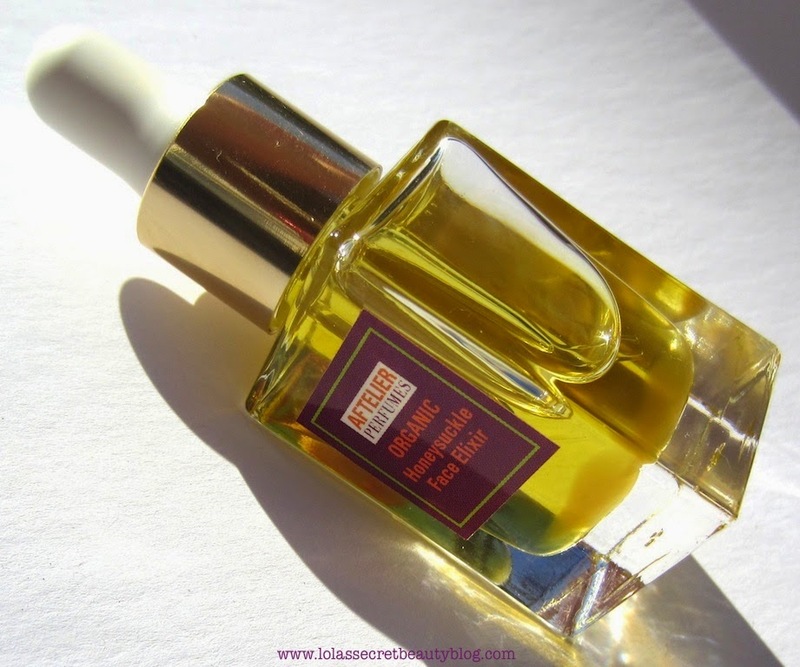 You really must investigate Mandy's creations– especially since you love perfume oils! Everything that she creates is truly extraordinary, and this Honeysuckle Face Elixir is a true revelation! I'm glad that you could imagine the Honeysuckle vines and their scent from my description! I want to try this sooooo much but my skin has been so weird that I just have to restrain myself until I can, who knows when, come back to my beauty oils. This just sounds out of this world. The chiaroscuro picture made me see/feel the oil. Ahhhhh! how is your world my gorgeous friend? Here the winter is looking amazing. I have my big scarfs and coats out. Perfect weather for reading in bed while sipping on some hot tea, now I need a few kitties to make my life perfect (and a less troublesome skin). Next time you place an order with Mandy get the sample size and use it on your neck and/or décolleté because it will make you so happy, and deliver you to the most restful and beautiful sleep. You definitely don't want to disrupt the equilibrium that you have found in the products that you are using though! I'm so glad that you are so happy where you are both academically and in terms of the winter weather! You paint a lovely picture! I am in a state of stress and frustration– all work-related! Things will be fine, but you know just how academia can sometimes feel a bit like the wild west! oh no my dear. Sending you good vibes. I am sad to hear you are frustrated. Frustration may be one of the worst affects. I know how academia is. I sincerely hope nothing bad is happening to you though. Many hugs and stay strong. We can do this! Did I read correctly? TT position? EXCELLENT. Now I am happy. whenever you can and have time and energy, please tell me all about it. Sending you tons of light for this process. I hope it goes well. You deserve it so much. This sounds amazing and luxurious and I love that the oils chosen are organic. You are right, the face oil market is so saturated and scary TBH, especially to someone who is terribly acne-prone, like me. It definitely is amazing and luxurious! 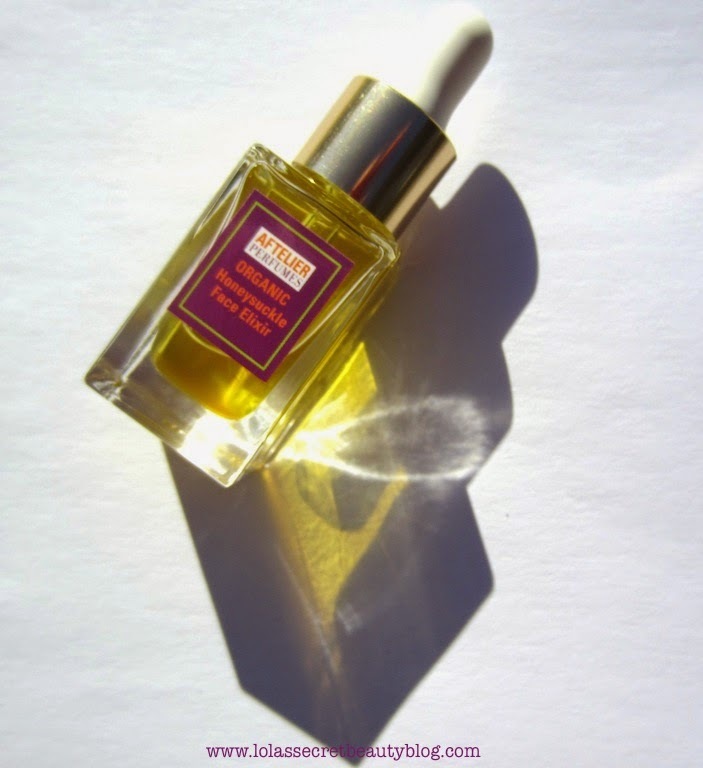 The fad for beauty oils will fade, and when it does only the extraordinary ones will be left standing! There are so many beauty oils out there that are actually made for acne-prone skin! I know of a couple of excellent ones, if you are looking! Spectacular review! Your writing has made me want this so much- I'm off to the website right now to order the sample size and quite possibly a few other goodies! The oils in here make it sound amazing! Great review!!! I have heard so many times about this and until now I haven't got the chance to check it out. I guess this is the time to for it has really great qualities that my skin would love. Thank you, Jules! 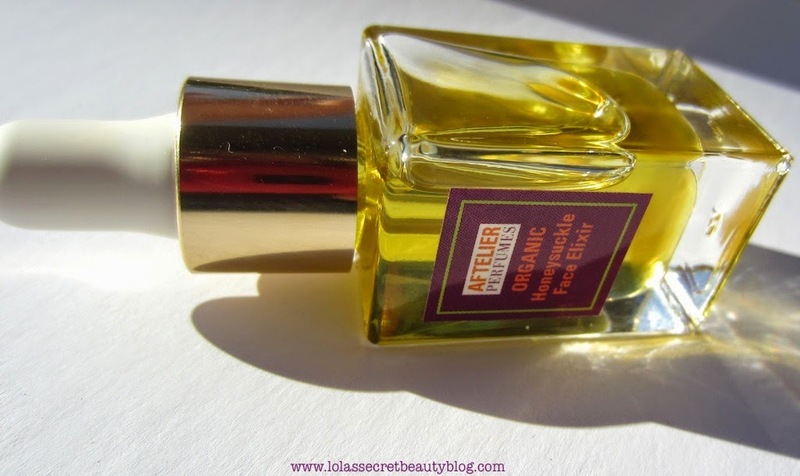 Aftelier Perfumes makes among the very finest handmade products on the market. Mandy's Face Elixirs are truly amazing! It is definitely worth trying! I honestly have not heard of this brand before but it sounds right up my alley. I have such sensitive skin that most of my skincare consist of oils to keep my skin hydrated. This sounds like my skin would just soak it all up and smile. Hi Honey! It really doesn't get any better than this! 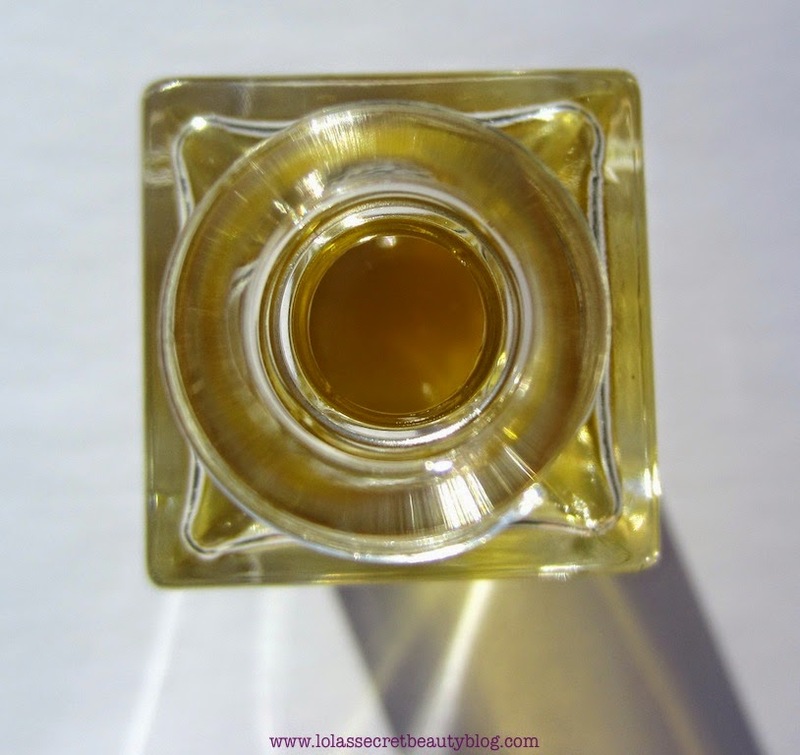 It is so worth trying her amazing face oils, and this one is absolutely breathtaking! Wow Lola, it means so much to me that you think so highly of my new face elixir, and I feel completely blessed by your brilliant writing and gorgeous photos! I appreciate this honor with heartfelt thanks to you and your fantastic blog, and love reading the comments from your savvy readers! This sounds like liquid magic! This sounds divine but I am a little confused. Is this oil more of a perfume or is it primarily a face oil? How strongly scented are these oils, in general, and this one specifically. Having allergies to quite a few flowers puts a damper on my love of strong flowery-scented products. Thanks. It is a face oil, not a perfume. 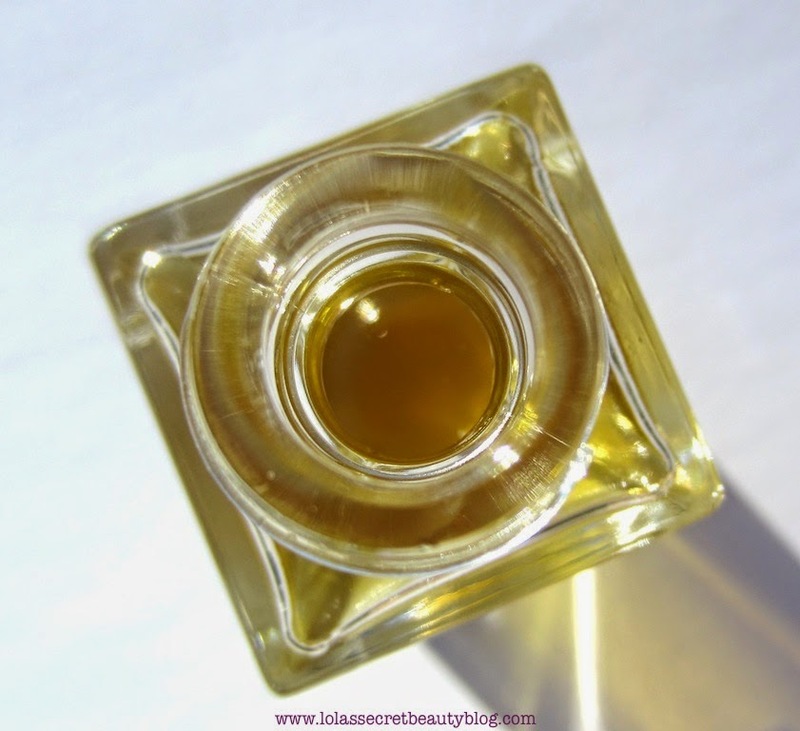 It contains a rare Honeysuckle Absolute, but it is in the same base of nourishing oils that Mandy uses in all of her face oils (or Face Elixirs). 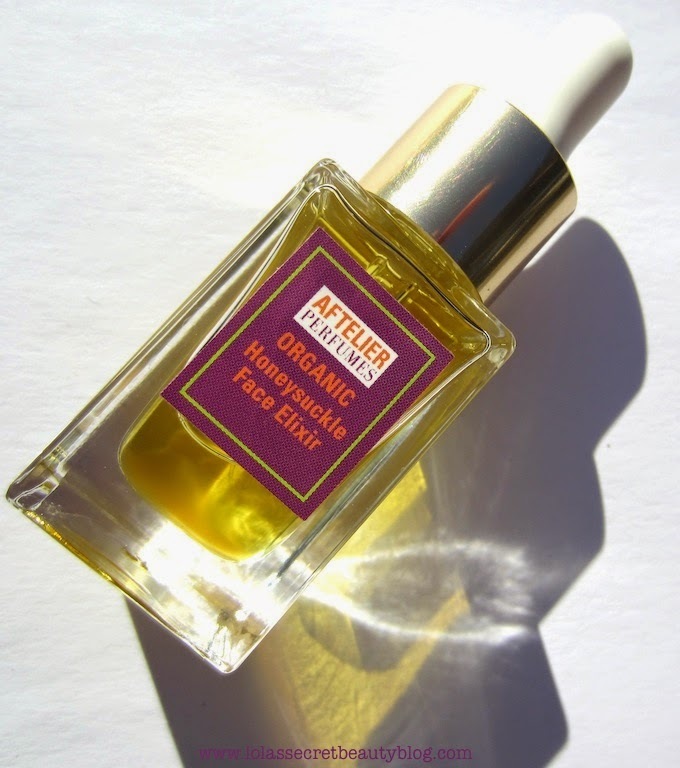 I would not say that the scent is any more strong than the Neroli Infused Marula Oil that you are already using, but the Honeysuckle Face Elixir definitely has a depth to it that is quite unlike the scent in the Marula oil. That said, the Honeysuckle Elixir's scent does fade away after a while. My guess is that you wouldn't have a problem with it, but the only way to know for sure is to try the small sample bottle that she sells. She sells lots of sample sizes of the most glorious things imaginable, and it is a lovely way to test her handcrafted treasures before buying their full sizes! 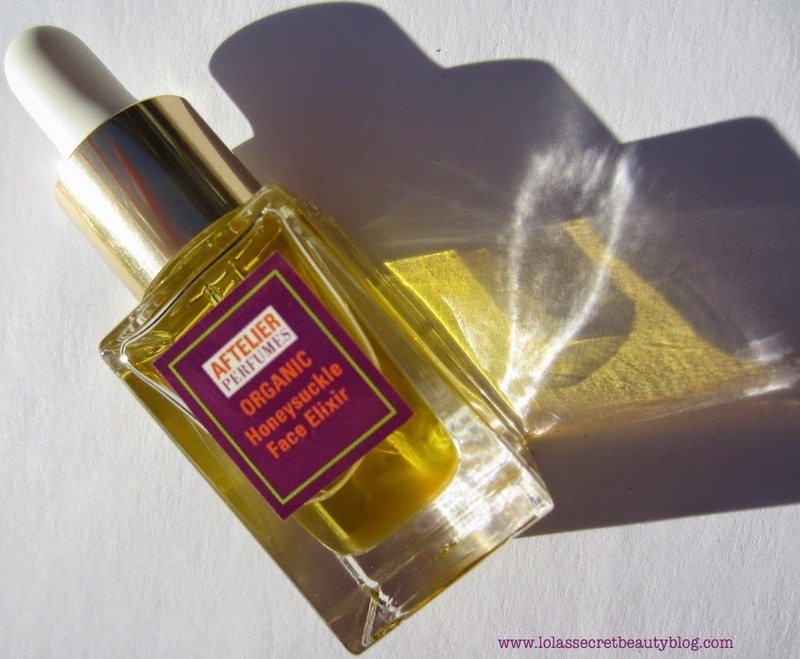 I used to steer away from face oils, but now I love 'em! This one sounds really nice. I had three samples in my cart but was put off by the high shipping. I think I'll wait and see if the holiday season brings a free shipping day. It's not today, though! Hopefully that happens– I think that you will be astounded by the quality of her handmade treasures!